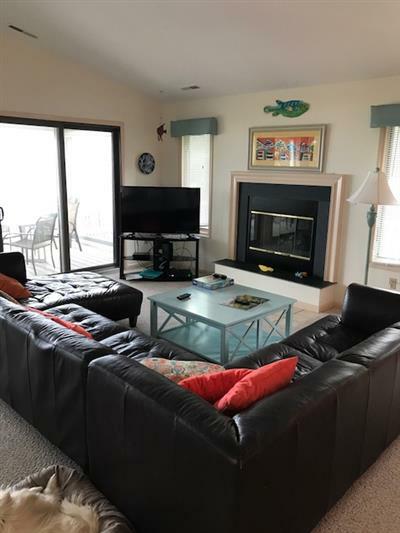 Bethany Beach Vacation Rental – Coffay, 58 Dune Rd, Middlesex | Middlesex Beach Bethany Beach Rentals. This Ocean Front 6 bedroom, 4 bath home offers central air conditioning, dishwasher, washer/dryer, fireplace, and beachfront screened porch.3 tv's, dvd player. Pets accepted with additional $150 fee, per pet, per week. Dogs no cats. No smoking! Plan your next vacation at one of Delaware's family friendly beaches offering low key charm, restaurants, shopping and more! Convenient East Coast location just a short drive from Philadelphia, Washington and New York. Bethany Beach and Fenwick Island are both considered The Quiet Resorts and just perfect family vacation destinations. Call today and one of our experienced vacation specialists is ready to help plan your best vacation ever! Great house! Great location, plenty of room and private access to the beach. House had everything we needed except a gas grill and wifi. Lots of parking, nice beach with few people, excellent sunrises. 6 adults and 4 children, everyone had a wonderful vacation. We will definitely return. Please get wifi. The property had a stunning location and was quite spacious. Our only significant complaint is that there was no wi-fi, and for the rental charge, that seemed unreasonable. Thank you very much.